All water features must use filtered water for optimum performance and to prevent damage to the feature. 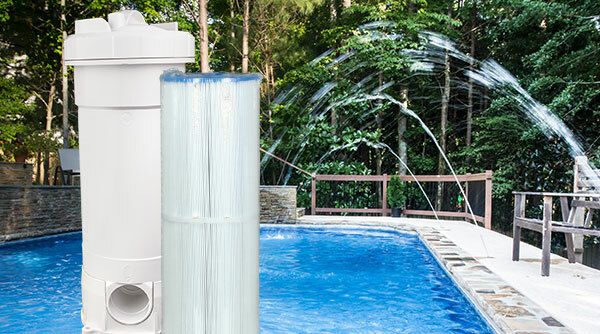 The CMP water feature filter is the perfect accessory for waterfalls, deck jets, bubblers and other water features. 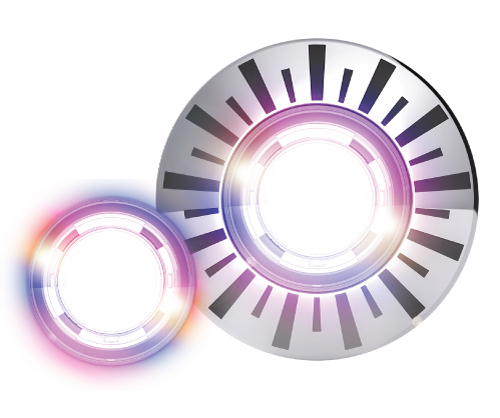 Use with Brilliant Wonders and Natural Wonders CMP products. Ensure the best performance and prevent permanent damage – always use a filter on water feature lines. Dirt and debris can easily get trapped inside a water feature with no way out. The best way to prevent this is with an inline cartridge filter before all water features. A dedicated filter in addition to the main pool filter is best. 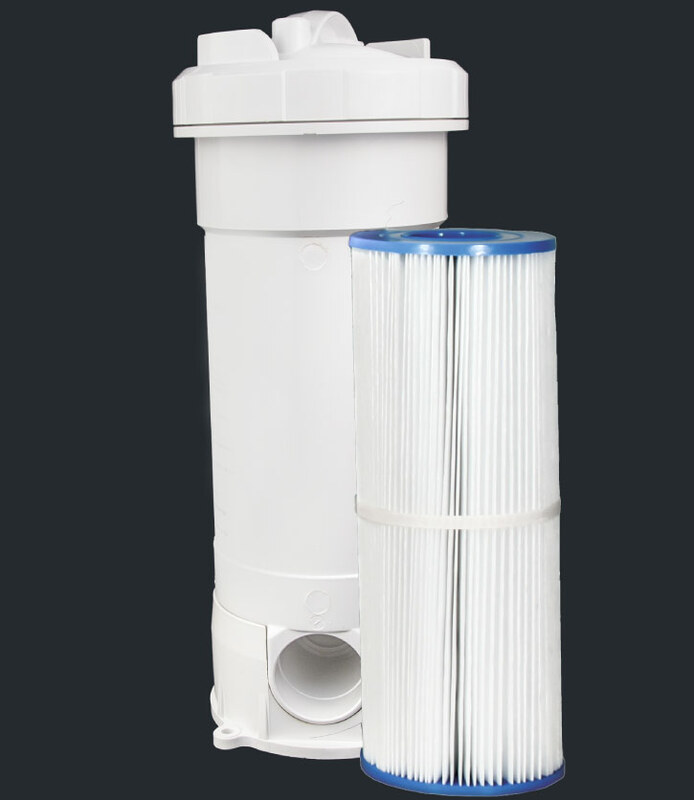 The CMP water feature filter is designed to be durable and easy to service. 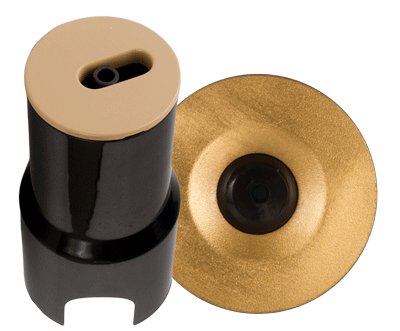 The cover is easy to remove for cartridge access and regular cleaning. Did you know: failure to install a filter on a water feature can permanently damage the fixture, and even void the product warranty. Sand and D.E. filters are not recommended.